Gus, an up-and-coming businessman, had been looking for ways to boost his sales. After passing by a truck wrapped with advertisement, he thought of doing the same thing. The wrap caught his attention. The vehicle had the business name all over it in nice big letters for everyone to see. He decided to quit waiting and give truck wraps a chance. 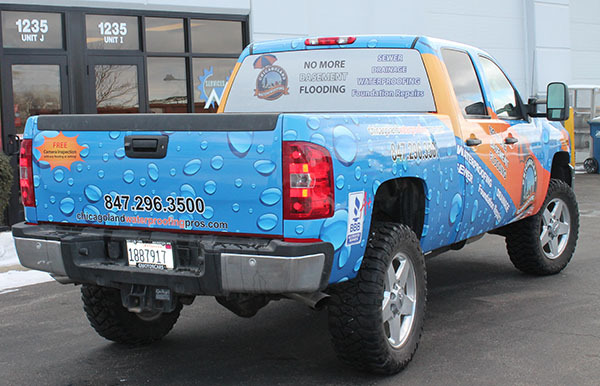 Looking for ways to boost sales with truck wraps? Contact us or call (630) 289-7082 today! Gus wrapped his whole pickup in a quality design with the best material available. He made sure that the words were specific, clear and impactful. He used different text sizes. The colors he picked were pleasant to see and didn’t bother one's eyesight. Last but not least, he added all the necessary information for future clients to contact him. His truck was all wrapped and ready to go. It was a moving advertisement, and now he just had to drive. After getting the truck wrap things started to change for Gus. Being more visible around the area, he was becoming familiar to people. He started to get calls saying they had seen his advertisement on his truck. They would talk in a friendly way as if they felt confident with him. He had generated interest and trust. Sometimes he would stop at a red light and catch someone saving his number on their phone. Whenever parked somewhere for a while his phone would start to ring. People also gave his number to their friends and family. He had got a bunch of new clients in no time. Gus realized that wrapping his truck with publicity was worth it. He had managed to make his business known on the streets just by driving. Sales had grown and the wrap was there to stay. The truck driver hardly has to worry about boosting business anymore. He says it is key to invest in quality so the wrap will last. Gus is also glad for making everything nice and simple for people to understand. He assures having a phone number on the wrap is essential so people can get in touch with you right away. Quit waiting and get a quality wrap of your own. Contact us or call (630) 289-7082 now.